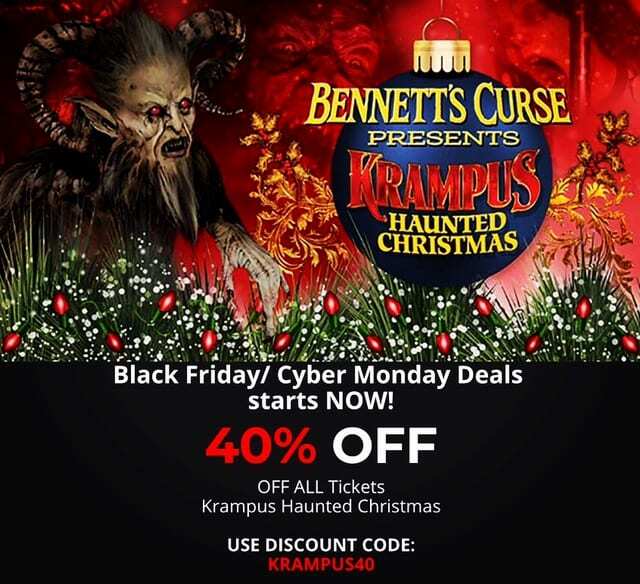 Black Friday/ Cyber Monday Deals starts NOW! Not valid on prior purchases. No price adjustments will be given after your purchase. Please be sure to add discount code to cart prior to purchasing. Not valid with any other offer. Offer Expires 11/26/18 at Midnight. 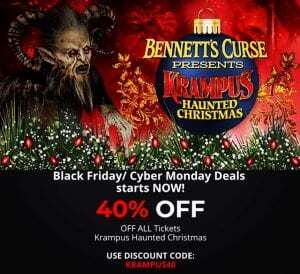 Previous Do you want to WIN 6 VIP Tickets to Krampus Haunted Christmas?